What could be more enticing than a yard illuminated as if by moonlight and a garden glowing in the night, just begging for an evening stroll? With professional landscape lighting by Custom Landscaping, you can enjoy your Northern Wisconsin outdoor living spaces to the fullest when you have the time, no matter the hour! Professional Landscape Lighting Designed for You! Custom Landscaping treats your outdoor lighting as an art form, using the subtle hues of well-placed lights to paint a portrait with your landscape. Our professional landscapers work with you to identify key features of your landscape to be highlighted, such as your water features, a garden path or your beloved tree swing. We incorporate a variety of dims to best suit your outdoor purposes and enjoyment. Contact Custom Landscaping today to install your accent and walkway lighting, security lighting, garden lighting and more. Need your existing landscaping lighting serviced or improved? Give us a call! 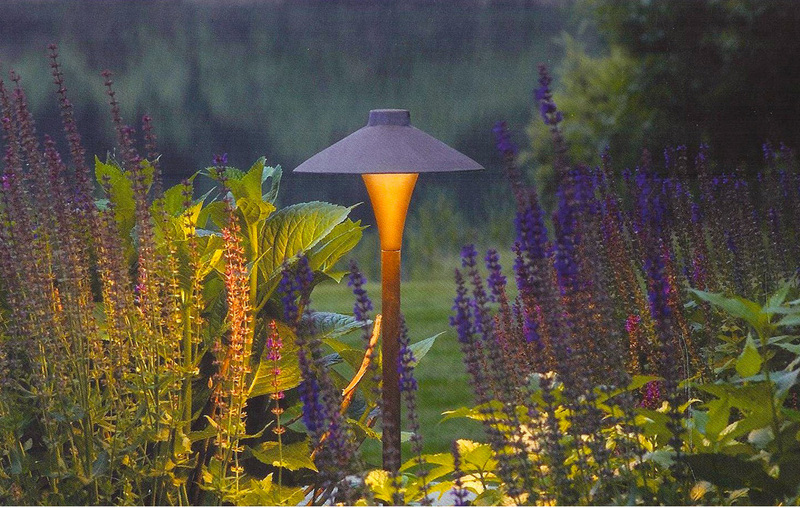 Contact Custom Landscaping for your Northern Wisconsin Outdoor Lighting Needs!